Dr. Avnish Jolly, Chandigarh, 13th October, 2008 :“A photographer’s faith in his subject is very important to capture moods and emotions”, says Karam Singh, former Chief Photographer of The Tribune group of publications. Though Mr Singh has recently retired from the services of The Tribune, his passion for shooting the just right moment is still alive. In his career spanning over three decades, Mr Singh covered innumerable historical events including war against terrorism in Punjab, Operation Blue Star and the deplorable riots in 1984. His work in the terrorism era of Punjab history, is a testimony to his dedication when he came to be known as an encounter- specialist among his colleagues in the profession. A radio mechanic earning his livelihood, Mr Singh never ever thought that his dream would come true when his hobby will turn into his profession. And from a radio mechanic, he became a cameraman and joined the Hindustan Times in 1972 at Delhi. Somehow, Delhi did not fare well with him and he moved to Chandigarh and joined The Tribune as a photographer and steadily moved up the hierarchical rungs to retire as its Chief Photographer. He played a vital role in setting up the photography department in The Tribune. “Imagination, innovation, and total dedication are the essential qualities of a true professional photographer”, beams Mr Singh looking at his team of photographers. Energetic and fiercely competitive, he did not hesitate to elbow his way forward in a crowd. In his long career, he managed to steal moments of events to capture in his camera where the press was barred. Keeping with the style of The Tribune those days, he never received a byline for his pictures. However, his photographs were acknowledged in a publication of The Tribune group. At a time when photography equipment were clumsy, he used to climb trees to get his full view of the situation. Once, they say, he was so engrossed in capturing migratory birds in his camera in Uttranchal that he drowned in the river and later saved by the Defence Rescue Team. He often argues that the qualities such as alertness and anticipation are essential to become a professional photographer. He shares his view that in any good feature, its intro and the photograph play a major role. “A photographer covering features must be thorough with the contents of article as a blink of eye will make all the difference,” he advocates. Mr Singh feels it is very difficult to capture photographs of a child, an animal or moods. Karam Singh says photography has become very easy after the digital technology. Now we have lot of time at our disposal to think to click a good photo.He is bestowed with the Lifetime Achievement Award for excellence in news and feature photography by different organisations at local, regional and global level. While in service, he feels, he hardly had spent time with his wife and now wishes to make up for that in the rest of his life. He also has keen interest in teaching photography to children in their tender age of imagination. He wishes to render his services through the local NGO Theater Age, working for the upliftment of slum children. may GOD always bless you and all in your family. anyway i’m a shadowy character photojourno… ut salute to ur job what u mentioned in article. i have grown up seeing the photographs being clicked by you…they were just out of this world…and now by the grace of GOD i got a chance to mee you very personally,really uncle ji you are gem of a person. my all respects to you. I started reading TheTribune years back when I was at school.I would like to confess that the most wonderful part of my reading experience was looking at the amazing photographs you clicked! You had the vision of a creative genius ,you seemed to capture the reality with a great deal of comfort . I used to grab the Tribune waiting to be mesmerised by the enchanting photographs taken by you! you have achieved a level which is unmatched and it speaks about your hardwork,determination,honesty and commitment. wish u a happy and prosperous life ! I am Pawan Singh and working as a Photographer in Dubai with ‘The National’ newspaper from Abu Dhabi. Before that I was in ‘Khaleej Times’ newspaper in Dubai. And before coming to the UAE I was Principal Photographer with ‘Hindustan Times’ in Chandigarh. I know Karam Singh Sir when I was in College. He is a good person as far as I know and after my college I have tried so many time in ‘The Tribune’ for the post of Photographer but………. anyway I was submitting my photographs for the Caption Contest and so many times tribune had published those photos and I was feeling very happy to see those photos. I have worked with Karam Singh Sir on many assignment like one I remember we were covering â€œSonia Gandhiâ€™sâ€ rally somewhere in Punjab and after finished our work we were coming to Chandigarh in one car and at that time I came to know more about Karam Singh Sir. It was a beautiful experience working with seniors to whom at some point of time you were applying for the job and by the grace of god after some time you are sitting, working and talking to that person as a Photojournalist. I wish him a good luck and I would like to tell Karam Singh Sir that keep shooting shooting and shooting. hi, i am also a press photographer from last 7years and meet karam singh in Ludhiana , when he got an award , i found him very good person with good vision. his work always motivates us to help poor persons, through the lense. i’ve heard a lot about Sir, when i was studying Mass Communication…and wished if i could learn those great skills from him. It is true that photojournalism has become easy, but to achieve the expertise he possess, is not child’s play. He is an institution of photography himself and can satiate the desire of so many inquisitive minds. God bless You with lots of happiness and success in life. I have read an Article on your carreer.First of all I would like to congratulate you on your retirement after serving so many years . I got opportunities to see your pictures in the News for last so many years,out of which i have seen some photos were really beautiful and comendable. I have found you very close to nature and wild life, and also got chance to see few of them. You are always giving warm welcome to persons visiting to your office and always attended the calls made to you even odd hours and acted on them. I salute to you and your achievements. It is very sad to read the comments of some peoples which appears to be just out of jealous,you should not bother these comments rather Go ahead with your goal of social service. More than talking about his profession, i would prefer to comment about him as a person. He is one of the most gentleperson you can ever come across. Calm, composed, patience can be referred as synonyms to him. Wish you all the best uncle. a heartiest congratulations to uncle from me and sonu for his success and devotion to his work….may god bless him with lots of happiness and success in life. Congratulations to my uncle(Mr. Karam Singh) for his successful accomplishments as a journalist. May your journey continue to be a happy, contented, and a pious human being as you are. You are an extremely humble and hard working person. May god bless you and your family with all the happiness and success. KEEP SMILING ALWAYS. Those children are lucky who live with their parents, who enjoy small-2 movements of life with them & spend a life time caring & loving them. I am so proud & honored to be one of those lucky kids. My father is an exceptional genius & a truly honest, dedicated & hard working human being. Despite of his innumerous achievements and unmatched experience and expertise, he is unbelievably humble and down to earth. At this emotional movement, I just want to say â€˜Papa I Love U and I am so proud to belong to you. For a great person like My Father, I would pray to God to bless him with happiness and good healthâ€¦..
Dear Dr. Kristi,My coworker aawlys wants to play chess, chat about some cool web site, or show me some youtube video when I am trying to work. How do I nicely either tell them to let me work, or quickly put up with their interrupting banter. 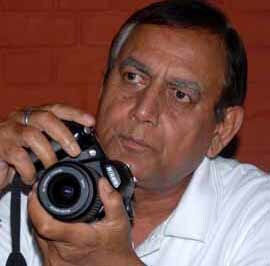 Hi, I am Jaipal singh chief photographer, Indian Express, I am devoid of any word to praise him. he is master of photo cropping, once I noticed him cropping a photographer which did not appeal him much after he did that it came out brilliantly. Thatâ€™s he is!! Good luck Mr.Karam Singh. dear Dr. Jolly can u give me his address, i like he is willing to do social work and teach photography free of cost. Hi, i have worked with Mr.Karam Singh Ji nearly 9 years and i find him as a humble man and ready to help needy persons and very good in hospitality. 1st of all i want to say thanks to the writer, who wrote a wonderful experience of Karam Singh. I am a reader of tribune from last 25 years. I have seen karam singh as a nature lover and down to earth , his pics always served the society. He always took the photos where other photographers reluctant to go. Wish you happy retire life. I was his neighbour for fourteen long years in chandigarh. It was Late Yog Joy, who had set up the photographic section in the Old Lady, called the Tribune. Though it was old over ninty years, it could boast of having a in house photo section till Indian Express ascended the region. Other facts also seems to be an imagination of fertile brain of the writer. God bless both. Mr Karam Singh is one of the best photojournalist in the country and we are really proud that he hails from Chandigarh. I have grown up seeing Mr Singh’s awesome photographs.